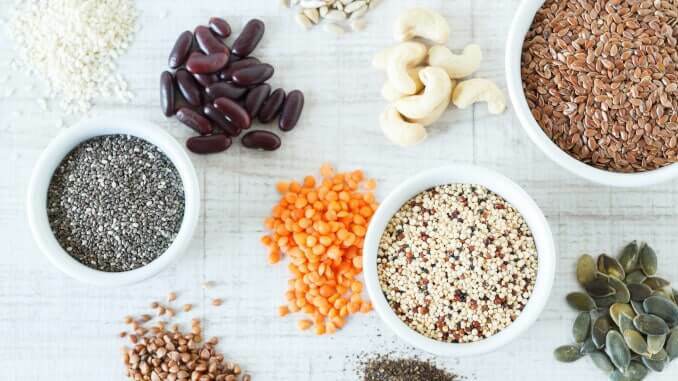 The market research institute Innova Market Insights has already recognized the growth of the market for nuts, seeds, cereals and legumes thanks to plant-based diets. But now the institute has gone even further, seeing potential in rather unusual products. “In the move to offer something new, we are starting to see an increasing variety of non-soy plant-based ingredients, including cereals such as rice, oats and barley,” says Lu Ann Williams, Director of Innovation at Innova Market Insights. There was also growth for nuts such as almonds, hazelnuts, cashews, walnuts and macadamia nuts, as well as coconuts and unusual options such as lupin, hemp and flaxseed. According to the report, the demand for plant-based food and drink is promoting not just known alternatives, but also unusual ingredients. Manufacturers of vegan products in particular are turning to new and unusual ingredients, aiming to offer the consumer variety and special properties. Lupin belongs to the legume family, and is often used as an alternative to milk. For example, LUVE uses local lupin protein for various products instead of soya. Vivera also uses lupin for its vegan steaks. A report by Research and Markets has predicted average annual growth of 4.49 per cent for the lupin market between 2018 and 2022. Finacial Analyst has also published a market report on hemp. One of the oldest useful plants in the world, hemp is versatile and is not only used as an ingredient in food and beverages, such as hemp milk, but also as a leather substitute in the vegan textile industry. Flaxseeds are particularly interesting because of their omega-3 fatty acids, and are in demand due to the increase in health-conscious consumers. Persistence Market Research forecasts annual growth of 2.9 percent for the flaxseed market in North America. Lizza, for example, uses flax and chia seeds in its low-carb pasta and pizza. Innova Market Insights’ report shows that even unusual ingredients can quickly gain in importance and become attractive to manufacturers.